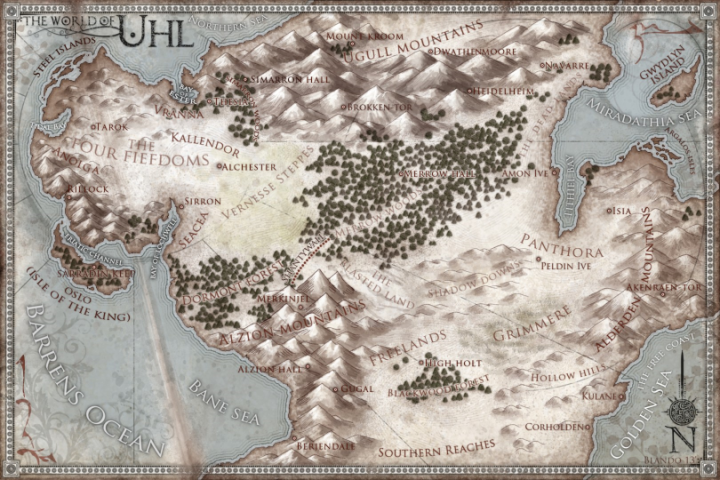 Last time I revealed the regional map which goes along with my new steamfantasy novel, The Nullification Engine. Now, it's time to take a look at the second map. I give you, the city of Brighton. Brighton is a city where three rivers—the Silvercross, Whitecrest, and Highbrook—converge. Its residents took full advantage of this by re-routing the rivers into waterways which flow throughout the city. It should come as no surprise that Brighton contains a great number of bridges and, much like our own real world Venice, finding your way around its streets and alleys, when you have the additional obstacles in the form of rivers and waterways, can make for a difficult time getting around, especially for newcomers. Aaron, Serena, and Ensel Rhe arrive at Brighton's gates fresh from their ordeal in The Five Elements. As one might expect from my writing, right away things go south for them. I'll say no more, other than that you can pick up a copy of The Nullification Engine at all major online retailers. I hope you'll give it a read. 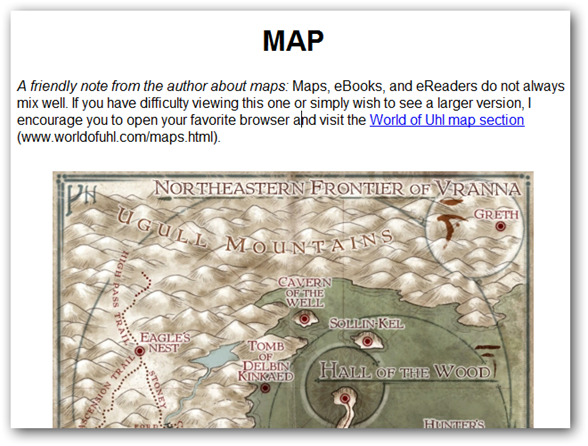 I've gone on before about how important maps are to fantasy novels. 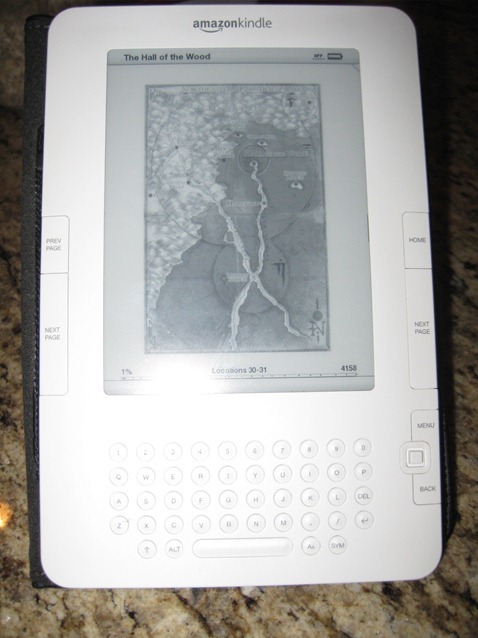 So important, I commissioned a regional map for my first novel, The Hall of the Wood, and again for the first book in The Alchemancer series, The Five Elements. The Nullification Engine, which was just released a couple of days ago, is no exception. 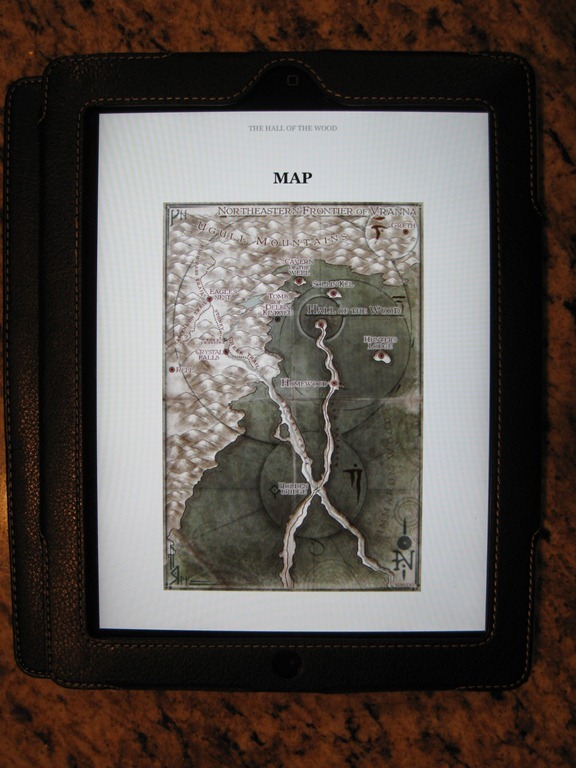 In fact, this new book has not one map, but two! Here is the first one (with the second to follow in a near future post). I give you the Earldom of Kettering. 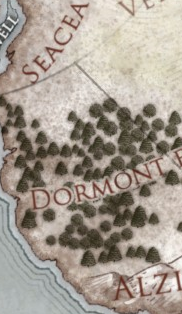 For those who read The Five Elements, you'll no doubt notice the presence of Norwynne Keep, which is where the story in that novel begins. 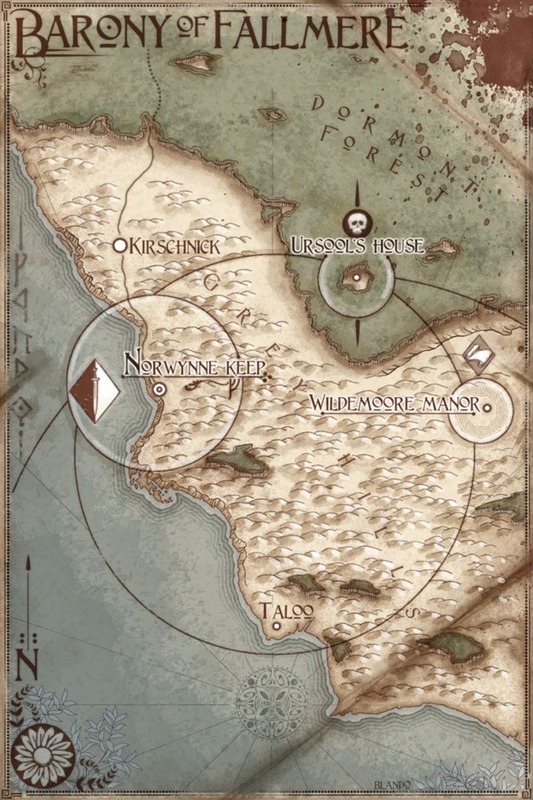 Much of the rest of the places from The Five Elements are 'off the map' (see the map for the Barony of Fallmere), because now our players are heading north. Where, you ask? All the way up to Brighton, which is a city that sits at the intersection of three rivers (The Nullification Engine actually begins with our heroes already having made the journey). There are a lot of hamlets, other cities, and geographical features called out in this map. Not all are touched on in The Nullification Engine, but will become more relevant as the series progresses. 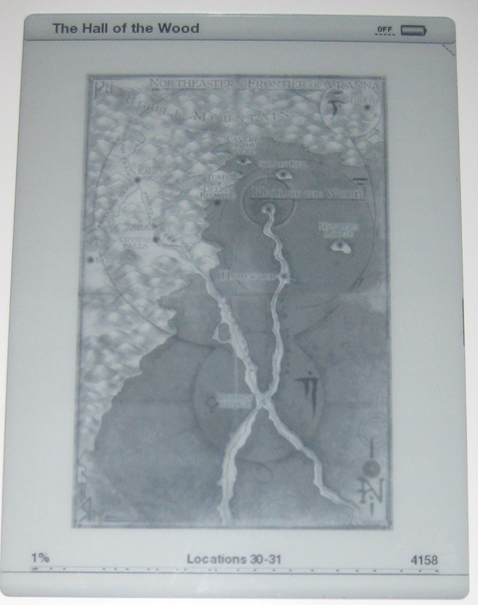 Next post I will reveal the second map, which is of the city of Brighton itself. You can purchase The Nullification Engine at all major online retailers.